World-renowned medical research company from Scandinavian region choose O2I to create Medical Research videos. Outsource2india was approached by a world-renowned medical research company from the Scandinavian region - the hub of medical research worldwide, to create high-end semi-documentary videos for their medical research. We were privileged to be contacted online for this project. 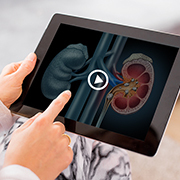 The requirement was for a 90-second explainer medical video with microscopic and cell-level medical animation that had detailed medical and scientific imaging. Our team had to create the video based on the client's script. O2I had the opportunity to push its creative limits in 3D animation and 3D modeling. To achieve accuracy at a microscopic level, right from the creative director to 3D animator required understanding of medical concepts. O2I was given a 90-second script for which a storyboard containing anatomical sketches, 3D animation, and 3D modeling was required. The team created fully-functional, ready-to-use 3D animation and 3D modeled 10-second paid trial. The trial exceeded client's expectation and after approval, the video including 3D animations, 3D modeling, and texturing, animatics and voice implementation was created using Maya and 3D Max. A 20-member resource team including 2D and 3D artists, animators and creative directors toiled for 3200 resource hours to deliver the video. Outsource2india's team including artists and animators required understanding medical terms and studying objects at a microscopic level to ensure accuracy and detailing. This learning helped strengthen execution and built confidence to take up production of medical research videos in the future. We offered the client a mix of medical expertise and creative artistry for their medical research videos and they found us. If you are want to create high-end medical animation videos contact our team today.